New rules let users opt-in to out-of-bundle, opt out of depletion messages. 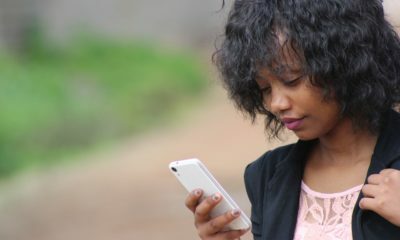 South Africa’s communications regulator has fine-tuned the rules for data expiry and notification of consumers, following confusion and court challenges. The Independent Communications Authority of South Africa (ICASA) says it has received a number of concerns from licensees regarding implementation of the regulations, and had met with some of these during January. As a result, mobile network operators have until the end of this month to get their systems ready to allow users to opt out of usage depletion notifications, rather than requiring them to opt in to get those notifications. They will also have to allow users the option of opting in or out of out-of-bundle billing. Cell C and MTN had both taken ICASA to court last year to delay implementation of the new regulations. The South Gauteng High Court backed the operators, and Icasa accepted the ruling that the effective date of the End-User and Subscriber Service Charter Amendment Regulations of 2018 would be 28 February 2019. It issued a statement, on 15 November 2018, confirming that the matter was settled. Usage notifications – licensees will be required to provide consumers with an option to opt-out of usage depletion notifications for voice, SMS and data services. Out-of-bundle billing – licensees will be required to provide consumers with an option to opt-in or opt-out of out-of-bundle data billing. Transfer of data – replaced the word network with electronic communications licensee to avoid confusion. ICASA made it clear that the regulations do not apply to non-licensees such as MVNOs and resellers.